A prolific wordsmith, Brad Strut has been fine tuning his craft and contributing to the growth and evolution of Australian Hip Hop since the early ‘90s. Engulfed in the breakdance craze that swept this country in the late 80’s, Brad became a staunch devotee of hip hop music and as his interest and skill level flourished, Brad could be heard on any sound system available to him. He released his first demo Rock On in 1993, regularly clocked air time on influential radio shows such as Steppin to the A.M. with Krissy and The Formula (PBS) and, intent on honing his lyrical dexterity, would be in attendance at any venue hosting a hip hop event. His development continued with his first studio experience, under the guidance of DJ Ransom, recording a demo for the unreleased Faces of Debt EP alongside emceesw Mama’s Funk (Strait Up Records), Raph Boogie (Crookneck) and MC Que (Nuffsaid Records). In 1999, he hooked up with Trem to record the Australian rap gem Basic Fundamentals. Released on Trem’s classic second 12”, Amateurs (Unkut Recordings), the song featuring a level of wordplay previously unheard within the local ranks. 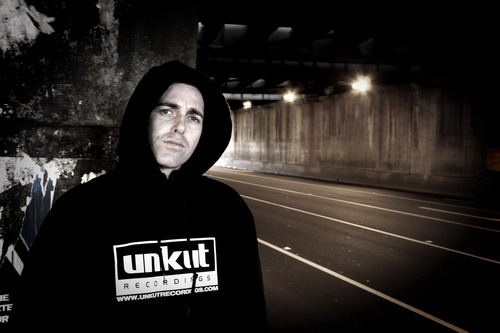 In 2001 Brad released his debut long player The Authentic LP, an album which, along with Bias B’s Beezwax and Culture Of Kings 1, marked a turning point in Australian hip hop. With its unforgettable cover of a vicious looking kangaroo caricature wielding a microphone, The Authentic attained phenomenal sales, moving 8000+ units with no industry hype in a time of minimal support for credible Australian hip hop. The album was heralded as groundbreaking, receiving acclaim from hip hop fans the globe over and the track A Good Thing even appeared on Jurassic 5 DJ Numark’s mix CD Hand’s On (Sequence Records 2004). The Authentic LP featured names such as Lazy Grey, Sean B and a freshly formed Melbourne crew Lyrical Commission, who had recently featured on, Culture of Kings Volume 1 with their track Lyrical Mongrels. 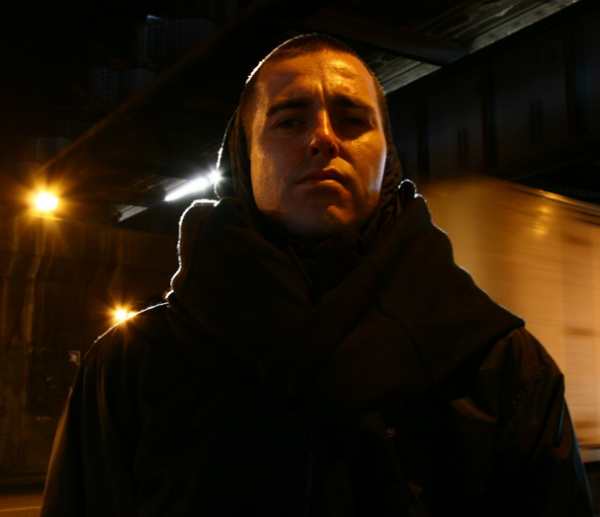 During this period Lyrical Commission, alongside Bias B, worked with the infamous Australian criminal identity Mark Brandon ‘Chopper’ Read on the track Chop Chop for the soundtrack to the movie Trojan Warrior. This track also featured on the Obesity compilation under the name Machete. With intense hype surrounding the crew, Lyrical Commission released their debut LP The Stage is Set (Unkut Recordings) to a blood-thirsty market and an already intensely loyal fan base in 2002. It received the highest of accolades for the straight up, back to basics, no nonsense skill-fest it delivered both musically and lyrically. It created a street buzz unseen for a local underground hip hop act, exceeding sale predictions and becoming the first Australian hip hop release to attract significant interest on a worldwide scale. The group toured the album extensively, all the while cementing their reputation as masters of individualised style and technique. There is no disputing that Brad is an accomplished live performer, and has shared the stage with the likes of Tha Liks, Hilltop Hoods, Eternia, Celph Titled, Apathy, Kool Keith, The Roots, Swollen Members, A-Trak, Aceyalone, Foreign Legion, People Under The Stairs to name a few, and has also played all major Australian festivals such as Livid and the Big Day Out. After a year of touring, and recording with Celph Titled (Demigodz) for the title track All Out War on the Terntable Jediz All Out War EP (Unkut/Blue Corner 2004), LC got to work on their next release, Murderous Metaphors EP. Metaphors contained nothing but pure rap skill from beginning to end with tracks like F**k all the B.S., Indicted, and the Strut solo track Check the Strategy. With Lyrical Commission sound and style locked down, the time had come for the crew to branch out into new solo endeavours to appease the long time supporters and win new fans. 2006 was a pivotal year for Brad, as he reignited the fervour for his solo mission. Early in the year, he dropped Legendary: The Official Mixtape on his newly formed Peruvian Gemz imprint, a subsidiary of Unkut that would focus on his own projects and assist emerging artists. Intended as a teaser for his upcoming sophomore full length, the mixtape took on a life of its own and became one of the hottest underground releases of the year, featuring guest spots from Perth’s Clandestien, Rhys of Hospice Crew and notorious booze hound Billy Bunks. Later that year, Strut represented Australia at Hip Hop Kemp 2006 in the Czech Republic, a massive three-day hip hop festival (Europe’s largest and best) which hosted Non-Phixion, RA The Rugged Man, Planet Asia, Klashnekoff and the finest acts from across the continent. Here, Strut made international connections with crews such as Poland’s WWO, whose upcoming album he features on. 2007 saw the release of Brad’s sophomore LP, Legend: Official. Produced by Trem, it is the darkest, deepest manifesto to emerge from Antipodean hip hop. Featuring Lyrical Commission, Sean Price, Outerspace, Daniel Merriweather and Lee Sissing, the album is alternately sinister and soothing, melancholy and belligerent, and it shows Strut’s technique at its most developed. The real deal with all flows locked, Brad Strut delivers the full package, the “proper without the ganda”. His history is undeniable, and the future unlimited. 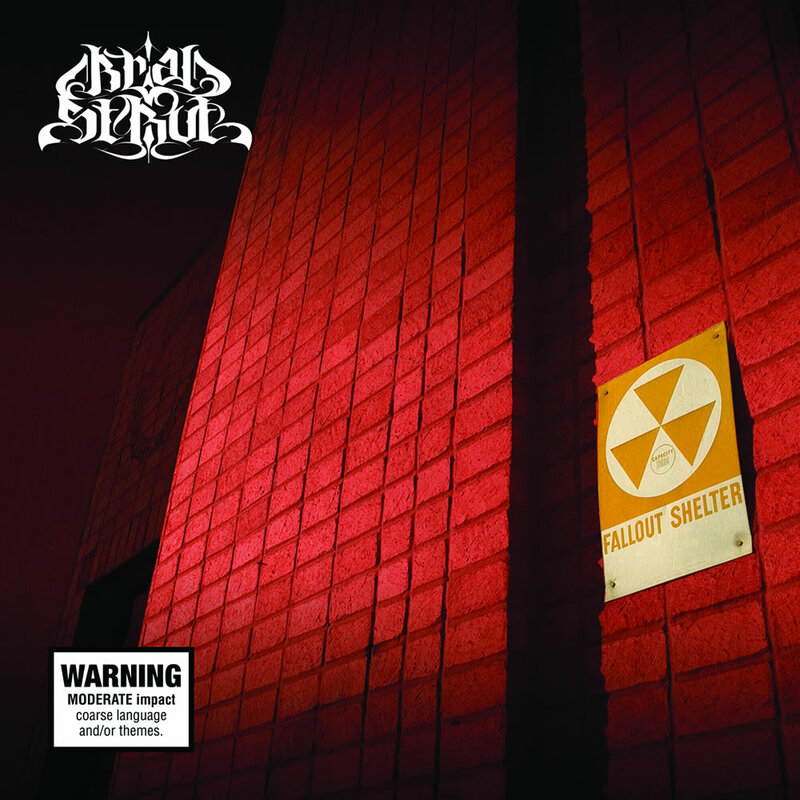 Fallout Shelter is the 2009 EP from Melbourne-bred, North London-based Brad Strut. In a radical departure from his acclaimed 2007 sophomore Legend: Official, the core member of Australia’s pioneering Lyrical Commission has crafted a stunning narrative that runs through six hard hitting tracks by Beat Butcha. Densely lyrical, personal and intense, this project fully exploits hip hop’s potential as a medium for storytelling. Ostensibly a post-apocalyptic diary, Fallout Shelter contains a wealth of insights into life, hip hop and everything. From the panicked opener Hello To Goodbye to the serene conclusion of Looking At You, Brad evokes the range of emotions facing the last man on earth: anger, denial, hope and a fatal acceptance. As with Strut’s previous work, his words seep in gradually, divulging deeper meanings with multiple listens. Likewise, Beat Butcha’s nuanced production shows its true colours over time, providing enough flourish to accentuate Brad’s words without overwhelming them. From the heraldic outro to New Dawn to the synth bridge on Believe, Butcha shows how a good hip hop producer does more than chop and loop drums, but never overwhelms the emcee’s presence with unnecessary fanfare. 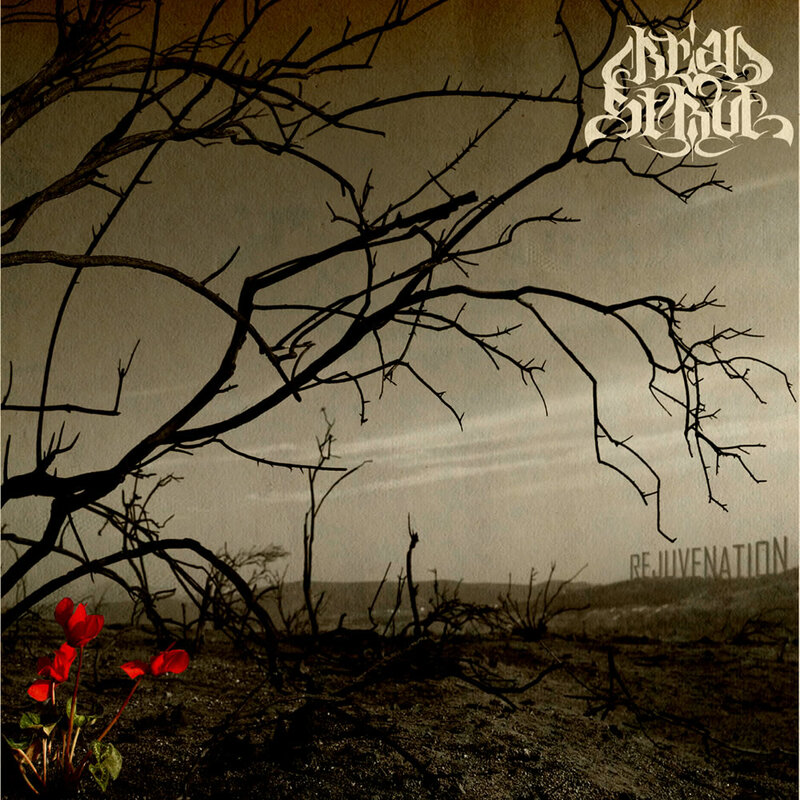 Rejuvenation is the 2009 full length remix project which finds Brad reaching out to the leading producers from Australia and the UK: M-Phazes, Trials of Funkoars, Simplex of Terra Firma, Chemo, Beat Butcha, Ciecmate of Hospice Crew, Tornts, Dazastah of Downsyde, Mortar of Clandestien, Dontez of KingsKonekted, Methodz, The Last Skeptik and Jehst. Each producer brings their own distinct ring to a Strut classic from Legend: Official or The Legendary Mixtape. From M-Phazes’s bombastic reimagining of live anthem Incite The Premises to Tornts’ vitriolic new verses on The Ritual to Jehst’s appropriately ominous take on Last Omen, these remixes all uniquely expand on Strut’s already impressive catalogue.